I am starting to make powdered laundry detergent from scratch and have been using Dr. Bronner’s castile bar soap, I would like to start making my own castile soap from scratch to add to the laundry detergent. I have looked and tried to find good recipes but there are so many! I also noticed that some said to use “butters” but Im not sure if that would be a good thing to use for laundry or not. 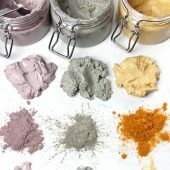 I was curious to see your thoughts on what recipes might be good or comparable to Dr. Bronner’s for laundry and if I should use butters or not? 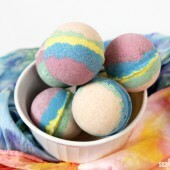 Making your own laundry soap can actually be a lot of fun! 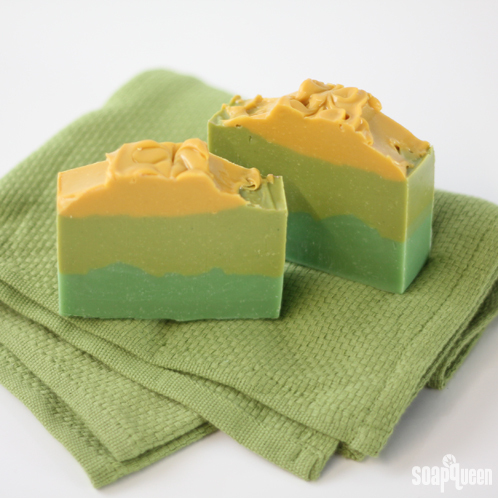 You can either use a cold process soap bar that has already been made or make your own soap for this project. 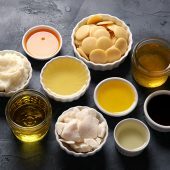 Typically, you want to keep your superfat (amount of oils that aren’t saponified in the process of soapmaking) around 3% because anything more can leave free-floating oils on your clothing and they could go rancid. Adding extra oils and butters will also contribute to leaving that extra on your clothing. If you are really wanting to use castile soap, I’d suggest going with the third recipe and using shredded castile soap. Thanks so much for your site and and all of your help! I have made all three of these recipes and loved them all. I’m new to all of this and they still turned out great. The nourishing recipe was our favorite. I would like to make it again but with some fragrance this time. Because of all of the different oils it seems to already have a slight fragrance. Do you have a fragrance you would recommend? One that would mix well with those oil scents already present? We have both male and female users so I don’t want anything overly masculine or feminine. When you replace an oil or butter in any cold process recipe, it isn’t going to be the *exact* same as the one you took out. But, you can always add similar ingredients to get as close to it as you can. If you don’t want to use Palm Oil in your soap, you can always substitute another oil and add in Sodium Lactate as a hardening agent. I have only made one batch of cp soap so far and it turned out great. I am looking forward to trying your recipes. 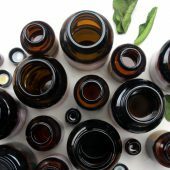 My question is – do you have to compensate for temperatures for low flash point of essential oils? Learning how to use the lye calculator may seem a little tricky at first, but I promise it isn’t hard to learn! Even if a recipe is already superfatted, you will be able to change that by using the lye calculator. We generally superfat our recipes at 5%. 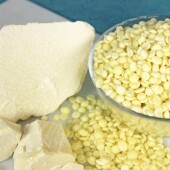 It will automatically adjust the ingredients to reflect the superfat that you would like to use. 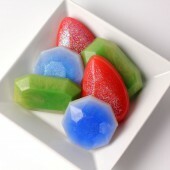 And if you are looking for an Australian Soap Supply company, I’d check out Aussie Soap Supplies. 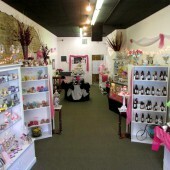 They have a great selection of Bramble Berry products. 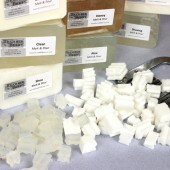 I have been stalking your site and reading lots of posts on cold process soap making. I will be giving the lots of lather bars a go next week. I will be getting all the oils from the super market. but I would love to know the most inexpensive place to order from in the United States. I live in Atlanta, GA if that matters at all. 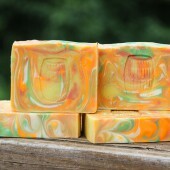 Also when it comes to palm oil cani use something else or will the soap not be as good? What does palm oil do for this particular soap? Also will evco be okay touse instaed of egular coconut oil…idint see it at my localstores. Sorry if this has been asked but I can’t get all the previous posts to load. We are so happy that you are getting into soaping, you are going to have so much fun! 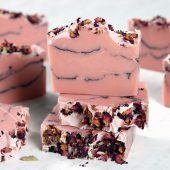 Since you are just starting soaping, I’d keep the Palm Oil in this recipe as it really helps to harden up your bars of soap. But, if you don’t want to use it, you can always use a bit of Sodium Lactate to help harden you bars. Just make sure to use the lye calculator to adjust your recipe if you change anything. When looking for Coconut Oil, make sure you are using 100% Coconut Oil with no additives. 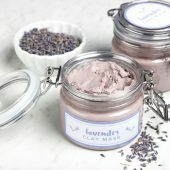 If you are unable to find it locally, we sell it on Bramble Berry’s website (where you can also find other soaping supplies). Not a silly question at all! Lye is essential to all cold process soapmaking recipes and is what makes soap…well, soap! Without the lye, you oils are unable to saponify and your soap won’t actually become soap. 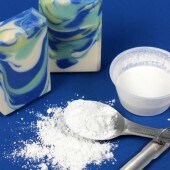 If you want to avoid handling lye, you can go with a couple different methods of soapmaking, like rebatch or melt and pour. Hi, (sorry – complete beginner!) do you need to recalculate the lye if you add small amounts of nutrient and fragrance oils to the recipes (eg 10 – 15 ml of each)? p.s. this is a great blog! Don’t be sorry, we are here to answer all your questions! 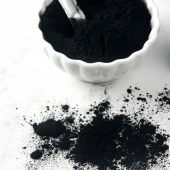 =) If you are adding exfoliants or fragrance oils at a small amount you are not going to need to recalculate the lye amount. If you added extra oils or butters we always suggest using the lye calculator to make sure your lye/water(alternative liquid) is at the correct amount. 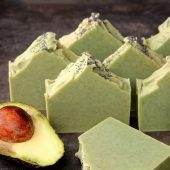 Hi – what is the superfat discount recommended for the moisturizing soap? I need to reduce the total recipe and not sure what to use in the lye calcuator. Thank you! 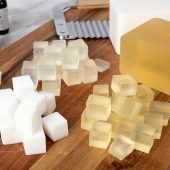 Hello, I have a question about adding essential or fragance oils, and yes, I’m new to soap making. Do I need to modify the recipe at all if adding them? I made one batch of soap without essential oils and it turned out great, and the second batch I made I added 1.3 ounces to my 2 pound batch and the soap is very oily in comparison. Both have been curing for only 3 days but the batch with essential oils is not yet completely firm to the touch. I don’t modify the recipe. I use about .7 oz. per pound of finished soap. Which essential oils did you use? Is it possible trace wasn’t as thick when you poured? Or maybe did you use citrus essential oils? Thank you for your answer. I used your “Energy” fragrance oil, which must have citrus in it. Will that cause it to be slower to firm up? And yes, I definitely poured the second batch at a thinner trace than the second batch. Thanks so much for you response and help. I’m sooo enjoying my new found hobby. Sorry, meant to write: I poured the second batch at a thinner trace than the FIRST batch (which was quite thick). Thanks…whoops I said Tarrow instead of Talow. Freudian slip. Thanks again, and I definitely will be checking out the site for some extra ingredients once I try a basic recipe. Great Blog. I am about to try my first recipe because I have an overabundance of beef fat from the raw food I make for my dog. For the recipes listed here would I just substitute the palm oil with the tarrow? The tallow will make a great substitution in this recipe where the palm oil was. Just make sure you run it through the lye calculator again because the tallow and palm oil have different saponifcation values! Anne-Marie, can I ask you a question please? I know that when we label our soaps, we cannot put any type of claims such as ‘Anti-aging’ and stuff like that. 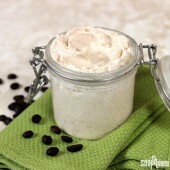 Contains Shea Butter which is said to….. Contains Hemp Seed Oil which is said to…. Is that the same as making claims or is it just providing information about the product say from the websites of the suppliers we get the product from? If you still have more questions, the FDA has put out a free guide on how to label your cosmetic items. I ran the numbers on your Lots of Lather recipe through Soap Calc. It came up with results that don’t match your experiences with the bar. For example, it comes up as rather high on the cleansing scale (meaning harsh/drying, and in only the mid 20’s (below the mean avg of 30ish for both bubbly and creamy. I am not denying your assessment of the recipe…just wondering why the numbers on soap calc don’t reflect actual bar characteristics. My usual recipes are mid to upper 30s on creamy and bubbly, and still..more would be nice. Interestingly enough, I don’t use INS numbers when I’m formulating soap. I haven’t personally found them to be useful. It’s an interesting theory – I read the book when it came out 10ish years ago – but never found it to correspond with what I liked in a soap or the results I got. also if I wanted to add abit of shea or mango butter to it how much should I add and do I discount the other oils/fats and is there any benefit to the end result. Hello again Lindsey! You can totally sub out the Olive Oil for Rapeseed Oil, but just remember, whenever you are subbing, you need to run it through the lye calculator! 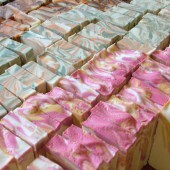 Hi Anne Marie, I made a batch of soap using the “Lots of Lather” recipe, superfatted at 5% with hempseed oil. It turned out fine but developed a white film on top of the loaf – do you know what this could be? Additional details: I used palm kernel oil (along with olive and coconut in the amounts suggested) and scented with lavender, peppermint, sweet orange, and ylang ylang EOs. The loaf is topped with dried lavender and rose petals. I Ph-tested it inside and out (including white area) and all tested fine (around 8). Please let me know what you think – I could email a picture if that would help too. 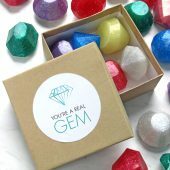 Thanks – great blog! I do believe that’s what it is! Will try the plastic wrap next time. Thank you! Also, would I need to add a preservative if using goat milk? Can I substitute the water for goats milk? I live making these recipes they turn out great and want to know if i use 16oz of the milk if that will work our okay? Thanks!!! You can sub the GM for the water – just know that the soap will smell pretty foul for about a week AND might be a darker tan color. 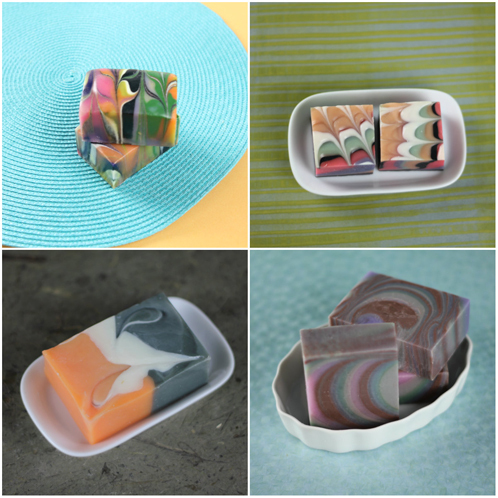 Go for it – the soap will turn out wonderfully! Thank you for sharing your recipies! I am anxious to try one out and will do so this weekend! I recently made a batch of CP soap and let it hit light trace. Normally I mix a little longer but usually have to spoon it out as it becomes thick. This time after it hit light to medium trace I poured it into mold. Its been 2 days and its still soft and can’t be cut yet. Is it just going to take a little longer to harden up or do I have to do something else to it? Whats the difference between light and heavy trace? Light trace versus heavy trace – think pudding (heavy trace) versus a hemp milk latte (light trace) or cake batter (thin heading to medium trace). Just wanted to say thanks, it’s so nice to be able to read helpful information, especially for a novice like I am. I am so new at this that I haven’t even bought any supplies yet! I have literally spent the entire month of January reading as much as I can about making CP soap. 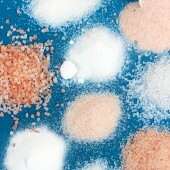 My question: is there an ideal room or outside temperature for making soap and particularly for curing the soap. How about humidity? I live by the Atlantic Ocean and we get rather humid. Any advise would be appreciated. You have the most informative blog! Thanks. No, there’s no ideal outside temperature for making soap. You will find that your soap does change from winter to summer because of the ambient temperature, humidity etc… but they are small changes. 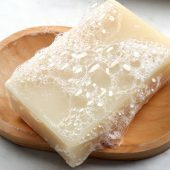 If you make CP soap, humidity won’t be your enemy unless your drying area (the rack that you put your soap on to to dry) is particularly wet and humid. If it is, you’ll want a dehumidifier. That said, we’re right by the ocean too and don’t notice any issues. 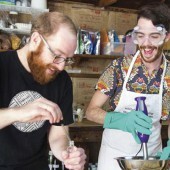 Have a fun time with your foray into soap. You’ll find it’s addicting! Why is a range listed for the water? How do you know how much to use? 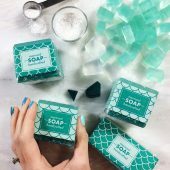 A range is listed because the less water you use, the faster the soap traces AND the faster it dries out during the curing time. 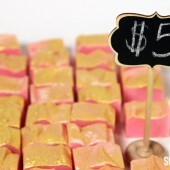 If you’re new, I’d go with the higher amount to ensure that you have the maximum amount of time to work with your soap. 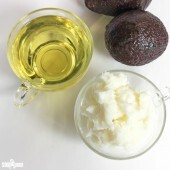 AM – I LOVE LOVE LOVE your Lots of Lather recipe. I want to make it on a larger scale…could I get the recipe in percentages? on converting percentage based recipes to weight. It’s 32% of Coconut, Palm, Olive and then 4% of the Castor. I hope this helps! Sorry for that confusing last email. I am a very big fan and also a customer. I have a question about color. 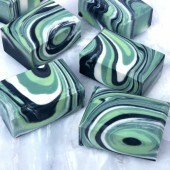 I have only worked with CP soap and I would love to marble my cp soap. I’ve tried oxides example:(red) even very small amount bleeds and my bubbles are pink. I purchased a liquid blue, however, no color change.I usually use green clay for color and the bubbles are still white, but I would love to try another color that my bubbles will not change colors. What are a few colors that will not bleed in cp soap when washing? 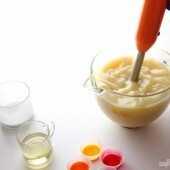 I will incorporate the colors in your moisture recipe. same but it will still be a lovely moisturizing soap. 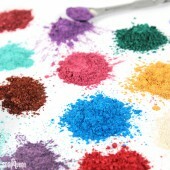 Any soap colorant will lather bubbles if you use too much – and red iron oxide is incredibly powerful. Perhaps the problem is that you’re trying to get super bright colors with colorants when you’re coloring CP soap which is naturally white. 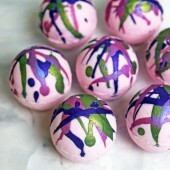 White soap + red = pink so no matter how much color you use, you’ll end up with lathering bubbles. Today, I made soap with 3 mini scoops (approximately 1/4th tsp) of Cappuccino Mica in 12 ounces of CP soap and that was a nice color that will not lather brown. If I had done that same amount with Red Iron Oxide, it would lather red. 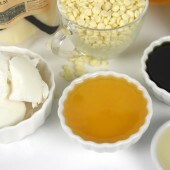 For the “Lots of Lather” Recipe, what temperature should the oils and lye water be prior to mixing. Also, I’m very new to cold process so I am a bit confused about the 13-19oz of water, would 16 be a good place to start? Is there an advantage to less or more water? Finally, when figuring the oil to lye ratio…I want to use 2oz of Brambleberry’s Oatmeal Milk & Honey Fragrance Oil, will those 2 oz throw off the lye ratio? 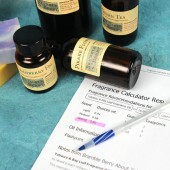 How does one compensate for 1-2 oz of fragrance oil in a recipe? Your videos are wonderful and Brambleberry is the best! Thank you so much in advance. If you’d like to use a temp range, I like 120 (give or take 10 degrees for the lye water and oils). That’s a range of water. You can use all the way up to 19 ounces and all the way down to 13. The lower range will provide a soap that moves faster in the mold (not good for a newbie) but also gets harder faster curing the curing and drying process. For you? I’d start at the 16-19 ounce range for sure. You do not need to take into account the fragrance oil when working with the lye. The fragrance oil does not act like a fixed oil in the soap recipe. Ok I believe I have the cold process technique ……. I want to add color and fragrance now….. So do I take my oil that’s hot from my pot & put some in a little bowl & then add color till desired? Then mix my lye into oils, get trace, add fragrance & color? Me again…. I did tried the lots of lather recipe a second time, and it worked perfectly. 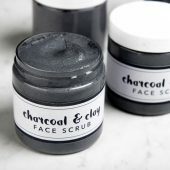 BUT, I have tried making the moisturizing recipe three times now (along with a blend of sandalwood cybilla and jasmine dreams) and I keep running into the same problem. I reach trace fine when blending it all together, it goes into the mold nicely, I insulate it and wait 24 hours. When I unmold the soap and test the outside of it with a ph strip, it tests very high, in the 12 – 14 range. But when I slice it up and test the inside it tests in an acceptable 8 – 10 range. What would cause the outer edges to be a higher ph level than the inside? I have read that if the soap tests higher than 12 it should be thrown out. Any thoughts? I really appreciate the help. How does it test out after 4-6 weeks of cure time? My first thought is that the soap in the middle went through gel phase so neutralized faster? Ok here’s another question…with my 18 bar wooden box since I have a lid is it necessary tomstill cover with a towel? That’s what we normally do. The lid helps but the towel just gives it a little more insulation. And since it’s so cold here right now, we need all the insulation we can get! 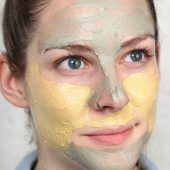 I would love to try your Moisturizing recipe and have everything but Jojoba. I wanted to order some but its super expensive! Is there an alternative to this oil that will give me a similar outcome? Thanks so much! Nothing is similar to jojoba unfortunately. 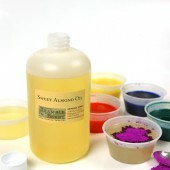 It is a liquid wax that acts very different than any other soap oils. That said, you could always use the lye calculator to re-do the recipe and put Hemp Oil in its place? 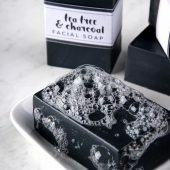 https://www.brambleberry.com/Pages/Lye-Calculator.aspx It won’t be exactly the same but it will still be a lovely moisturizing soap. Just went to my nephews & their baby is not agreeing with a soap they are using. 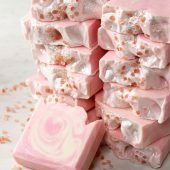 (something from the store) I thought I would make them some to give it a try> Does anyone have a recipe for a baby cold processed soap. Qwentin is 6 months old, full of laughs, but needs a little help with his soap. I added the lye solution to my oils and began to blend with my stick blender, and the mixture began to get *very* thick right away only where the stick blender was, so I ended up with a pudding like consistancy on the bottom of the pot, with liquid still on top of it. 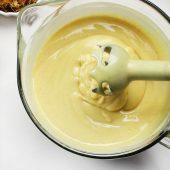 I continued to blend and stir to get everything mixed together but it was so thick (like a thick pudding) that the mixture was lumpy, I used a whisk to smooth things out and then spooned it into my wooden mold. I’m sure this was due to the palm oil, as I’ve read this speeds up trace but my question is this – will the soap still be safe to use, or is it possible there will be pockets of lye in it some how? (since part of the mixture became very thick before all the liquids and oils were blended together)Can I just slice it up and test it with PH strips like usual, or am I better off to toss out this batch and try again? Also, where did I go wrong? Okay, I jut got home today and took the soap out of the mold…. and there are wet spots which means lye. Any advice? It was all mixed together and very thick, how do I avoid this in the future? Arabian Spice doesn’t tend to be too difficult to work with but it can accelerate trace a bit. It sounds like the stick blender staying in one place may be the culprit? Generally, I turn my stick blender on in pulses and then move the stick blender around a lot to ensure that there is never an area that gets too thick too fast. Oh shoot, I threw the stuff out already, you’re very kind to offer to look at a photo though. I seriously just turned the blender on and right where it was the mixture was instantly thick – so then I tried to mix mix mix like a mad woman to get everything blended in. Maybe my temps were off somehow and the soap siezed? I don’t know, it was not my first soap batch but it was my first try with palm oil, I guess I’ll just have to try again! 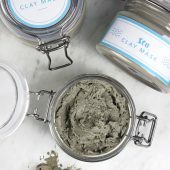 My husband and I have a small business & have been using MP for the past couple of years. We are ready to take the next step to CP but have silicone molds that are specific to our product…will we be able to use our silicone molds with CP? Thank you! Definitely. Silicone molds are great with the cold process technique. Eeek! From Bramble Berry? I am SO sorry – that is horrible. I wonder if it’s the wrong product or mislabeled? Palm Oil is really yellow. Coconut is more white. Palm Oil … you won’t find in stores, I don’t think. It’s not a normal oil that you’ll typically see in my experience. And if we made a mistake on your order, email us ASAP and we’ll get you fixed right up on Tuesday when we’re back in the office. I am sooooo sorry about the mistake if it was us. Thanks for all wonderful information. This surely will assist me with learning about cold processed soap making. I’m still just doing research so sorry for this question, but when you say recommend 3% superfat, what exactly do you mean? I thought the superfats are worked into each receipe? LOL – and YES I’ve watched all your videos, but I just want to ensure I understand everything before I try. 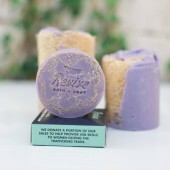 I like to start at .5 to .7 ounces of fragrance or essential oil per pound of finished soap. Then, once you’ve tried the fragrance or essential oil, you can do more or less depending on the strength. 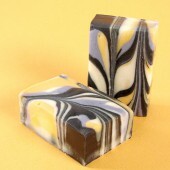 Hi – What is a good oil or butter to add to cold process soap to make the soap glide across your skin? I’ve noticed my soap drags a little on my skin. Also, what value does cocoa butter give to the soap? Glide across the skin? I’d go with a 10% superfat and try with Avocado Oil, Sweet Almond Oil, Shea Oil (not the butter) or Hempseed Oil for that full 10%. Cocoa Butter adds to moisture. It’s a lovely butter but I usually keep it to 5-10% or so because it’s not great with lather. Thank you for your response. I really enjoy making soaps. There are lots of things to learn and to know who to ask. In you I have complete confidence because I have so many things already learned and applied. Not everyone is willing to share their knowledge. I hope it does not matter what I continue with questions below this recipe, but I’m interested is another matter. The soap calculator, there are three kinds of coconut oil. I am interested in based on which of these three types of I calculated the percentage of water and sodium hydroxide. In our market can get cosmetic coconut oil. You probably want to use the 76 degree Coconut Oil. Fractionated Coconut Oil is liquid at room temperature and I doubt that is what you are getting. And the other, warmer degree melt point is pretty rare to find. =)Enjoy! I made soap for the first recipe. I made a mistake so I account for the total discount of 8% fat. 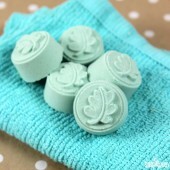 The soap is already 24 hours in a mold and is too soft to go outside. I could take it out, but would not have a nice shape of the mold. Is it a cardinal mistake that I made? Can I use it for another purpose? 8% is a pretty high superfat, which will probably end up being a soft bar of soap. As soon as it’s hard enough to unmold (which may be another couple of days), cut it and get it on the curing wrack. It may harden up in 4-6 weeks. 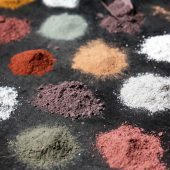 hi, just wondering if adding colorants to any of these recipes (especially the first) is okay to do, and if so, when and what amound would be appropriate for these recipes. Thank you. I’ve tried a bunch of your melt and pour recipes… Time to try one of the cold process ones, me thinks! The recipe I’ve been using is very crumbly when sliced, and the lather’s not great, so I’m hoping for better results now :). Thanks for sharing. Debbi- You can just leave that oil out. But make sure to put the recipe in the lye calculator again to make sure you’re using the correct amount of lye. I was wondering — is the wheatgerm in the nourishing recipe wheatgerm oil, or actual wheatgerm flakes? Thanks! Actual Wheatgerm Oil – not the flakes – but great question! I don't notice that the Lots of Lather leaves the skin dry at all. The moisturizing recipe has decent size bubbles that last a while. I'd recommend making all the batches and then deciding which one you like the best. My personal preference right now is the Moisturizing recipe but to be honest, I like all of them (or else I wouldn't have shared them). For the lots of lather recipe, how dry does that leave the skin? 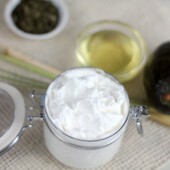 For the moisturizing recipe, how is the lather? 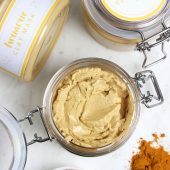 How do these 3 recipes compare quality wise to the Mememememe luxury recipe on the teachsoap site for lather, moisturizing and hardness, etc? 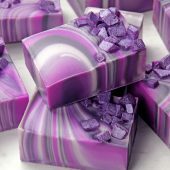 I would like to use a really good recipe for all my soaps. Thanks! If you were going to use the Lanolin in the Lots of Lather bar, I would use it at more than 5% and I would decrease the liquid oil. Hi Anne-Marie – thank you! 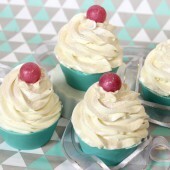 I've already tried two of these and they were fabulous! QUESTION – I want to use Lanolin in the "Lots of Lather" bar…how much should I use and how does this change the amounts of the other ingredients? I hope you love the recipes when you try them. Vitamin E oil doesn't saponify like the rest of the vegetable oils so I would recommend no more than than 1 oz. 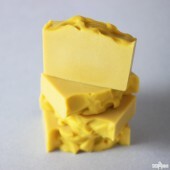 per pound of soap as a superfatting ingredient rather than replacing any of the oils with it. 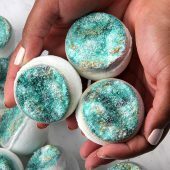 Hi, I have a question on the Nouishing soap recipe. 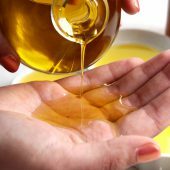 If I wanted to substitute the 2 ounces of Vitamin E oil which oil should be use? 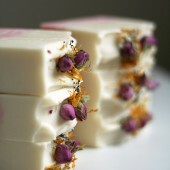 Use a nourishing essential oils like Lavender or Egyptian Geranium and it'll be a great bar! 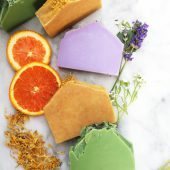 Hi, just wanted to know if any one of these soap recipes make good shampoo bars if not do you have a shampoo bar soap recipe to share or someone who does? 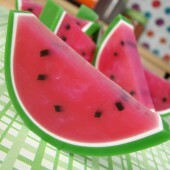 I have always wanted to make them. 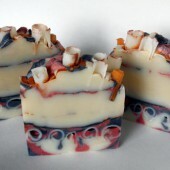 Anne Marie, I made my first batch of cold process soap using your recipe 'Lots of Lather'. It turned out beautifully. What a great recipe! Now just waiting for it to cure. I think I'm addicted already as I'm ready to start making my next batch. I'm a little low on coconut oil can I use virgin coconut oil to make up the differnce as I can buy it at wal-mart?. I was up late last night reading through your posts. I hadn't come to these yet so thank you! Hi, how much does the 'Lots Of Lather' recipe make? I'm thinking about 3lbs but I am new at this. 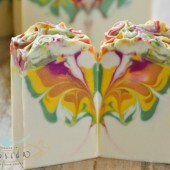 I'm going to try my first batch of cold process soap using this recipe. Thanks for posting them. On your first recipe do we need to add additional oils to get the 3% superfat for the best bubbles? Thanks so much. 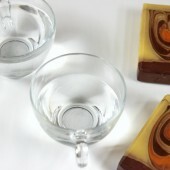 The less water you use in the recipe, the more temperamental the soap is when working with it. So, if you're using a fragrance that accelerates trace, you don't want to short the water. Also, the less water you use, the harder the bar of soap will be more quickly. Thank you for this post! 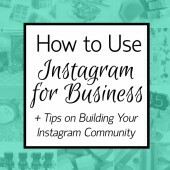 I've been reading your blog for quite a while now and I really appreciate the helpful info you share with us. How would the variation in water amounts affect the finished bar? Oh thank you so much. 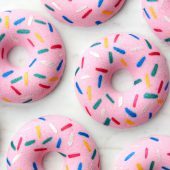 I'm a novice CP soapmaker and I've been wanting to try new recipes but nervous to just make something up. Can't wait to try these! Always good to know someone else's tried-and-true recipes (whether it be food or soaps, LOL!). Thanks! These look great, thanks for posting these.